Uninor, the promising new telecom brand today announced the launch of its Special Anniversary Offers for existing and prospective customers. The Special Offers comes as a souvenir for the Uninor subscribers on the occasion of its 1st Anniversary celebration. The operator has come up with 2 exciting new offers dubbed as “101 = 150” and One Two Ka Three Offer. 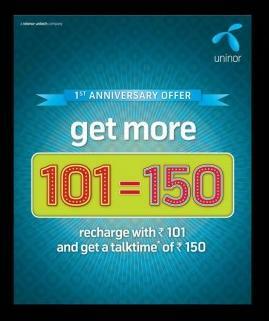 With 101=150 Offer Uninor prepaid subscriber will get Cumulative Talk time of Rs. 150 on a recharge of Rs.101. 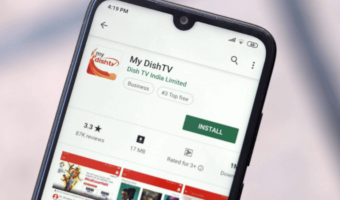 Subscriber also get A Daily talk time of Rs.10 for each day for 15 days and Rs.10 talk time is valid for one day and is valid till 12 ‘O’ clock in the midnight. While “One Two Ka Three Offer” gives the customer the power of three free offers with any recharge of Rs 50 and above.Wherein customers get 100,000 free SMS; 100 MB GPRS; and on one month caller tune subscription two more months added free.The Special Anniversary Offer is on till 10th December 2010. 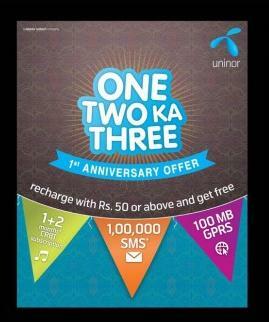 Uninor which is celebrating its First Anniversary today has over 13 million GSM subscribers. 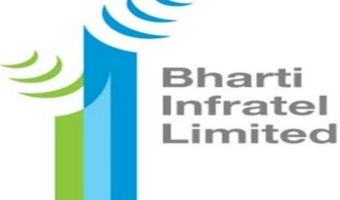 The operator launched ist GSM services on December 3, 2009 in India. The Uninor launch event was the biggest single day Greenfield GSM launch ever in international telecom history! U did STV recharge or normal one??? 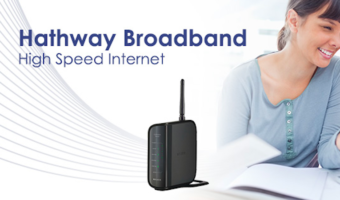 Seeing the 101=150 plan on TT last week I recharged with 101 but got 250 STD mins instead of above said offer.